Professor, it is so great to see these original documents. Do you think LBJ would have been re elected if he had run? I hope readers are having as much fun with documents as I am – they are a wonderful glimpse into presidential history. 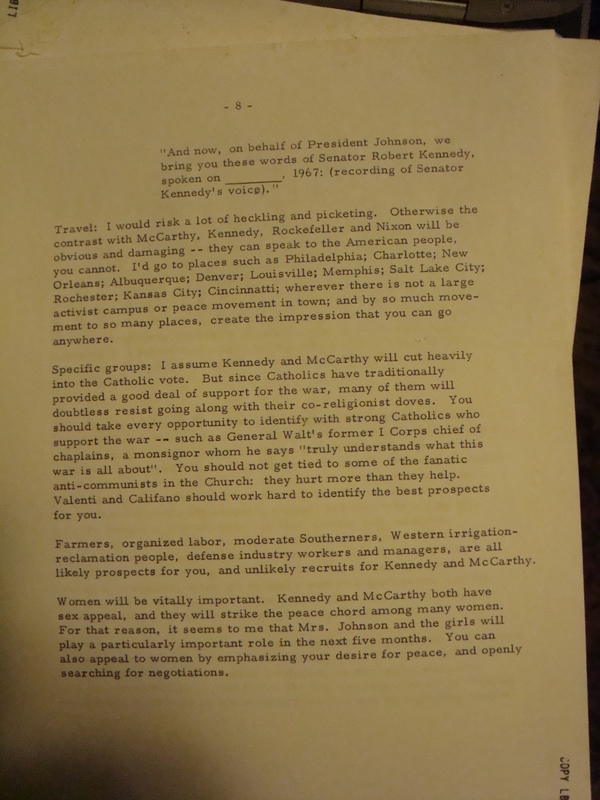 As for whether LBJ would have won, my guess is he would have secured the Democratic nomination since so many delegates were controlled by party leaders, but as McPherson’s memo makes clear, he was in for a fight in the general election. 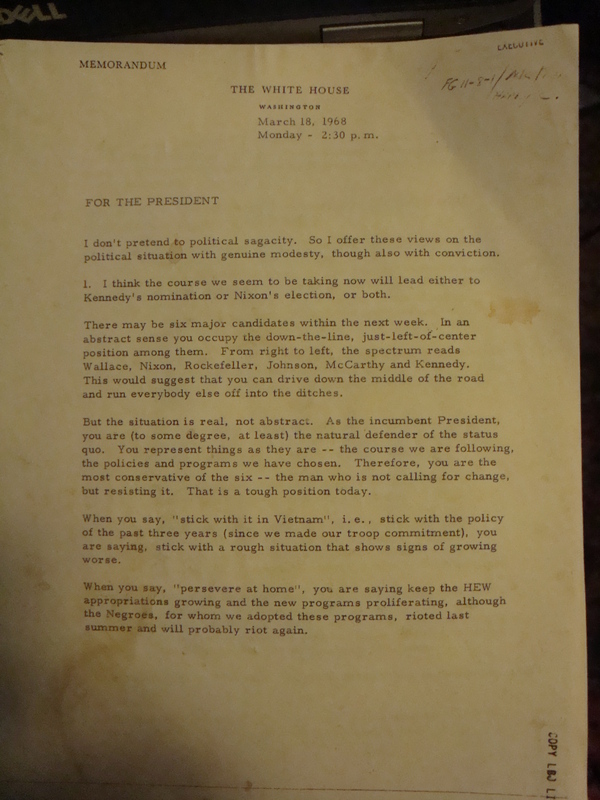 At the time McPherson wrote his memo, Gallup had LBJ with a 38% approval rating. Note as well that Humphrey, who lost the popular vote to Nixon by about 1%, saw his campaign gain life in the later stage of the campaign when he distanced himself from LBJ. Of course, he was also helped when LBJ called a bombing pause late in the campaign. So, conceivably, LBJ might have squeaked out a victory by signalling, as McPherson suggested, a change in his Vietnam policy in line with the bombing halt. But we will never know, will we?
. . . except that Wallace wasn’t a Republican. Good catch! I definitely need an editor – second factual error in this post that alert readers caught.